Facebook today announced it’s currently buying the popular photo sharing app for iOS and Android devices, Instagram. This news comes straight Mark Zuckerberg’s Facebook page where he announced that his company will buy Instagram and its whole team will now work for Facebook. The lucky Intagram team will receive $1 billion in cash and shares for the acquisition from Facebook, according to AllthingsD. Instagram will not just become part of Facebook. Instagram CEO Kevin Systrom and Mark Zuck confirmed that Instagram will remain the same with the same features it currently has like sharing with other social network like Twitter and the ability to not share photos on Facebook. The Instagram app will still be the same one you know and love. You’ll still have all the same people you follow and that follow you.You’ll still be able to share to other social networks. And you’ll still have all the other features that make the app so fun and unique. We plan on keeping features like the ability to post to other social networks, the ability to not share your Instagrams on Facebook if you want, and the ability to have followers and follow people separately from your friends on Facebook. 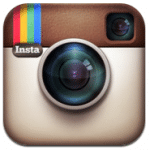 Instagram can be downloaded for free on iOS devices from the App Store, and Android devices from Google Play.